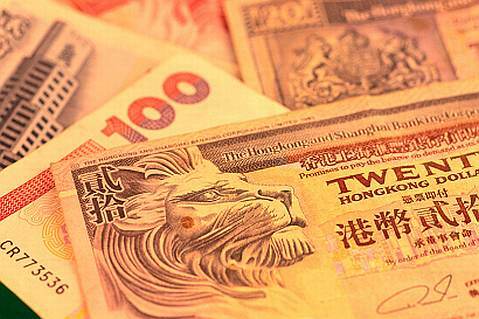 Hong Kong – Top Financial Sector for the second year running. The World Economic Forum (WEF) has named Hong Kong as the world’s top financial centre for the second running. This is attributed to its strong business environment, infrastructure and a favorable tax regime. The WEF’s, annual reports uses a wide range of factors in order to determine the prominence of Hong Kong, many of the nations remain unchanged in the top six positions due to staling capital markets, sputtering economic growth and waning trust in financial organizations. The United States, Britain, Singapore, Australia, and Canada have followed Hong Kong in the 2012 rankings. The WEF’s annual report focused at legal and regulatory factors, business environment, financial stability, banking and non-banking services, markets and availability of access. It reported that Hong Kong first rose to the top of the WEF index last year, becoming the first Asian financial centre to achieve this rank. Hong Kong not only maintains its position, but also manages to increase its relative score, thereby creating a wider gap between it and the US. Hong Kong’s increase in relative score can be attributed to higher scores in both banking and financial services, and financial markets, respectively, due mostly to an increase in the size and efficiency of the banking sector, and strong equity and bond markets. Those markets, the report continues, profited strongly from the contribution of Mainland Chinese companies. For example, in 2011, 43% of firms listed on the Hong Kong Stock Exchange were Mainland Chinese companies, accounting for 56% of the Exchange’s market capitalization. Thus exemplifying the growing rise of Asian trading centers and the influence of China as the worlds second largest economy on the financial markets of today. The report further stated that “Despite these strengths, Hong Kong has a relatively underdeveloped bond market and its financial sector has yet to be fully liberalized,”. The report highlighted the struggles that policy makers are faced with as they will have “monumental” task in restoring the confidence of investors in the market as the overall system is one hat holding back investment. Furthermore there are “pockets of improvement” across some banking-related indicators, it said that these signified “only a small step in what will be a long road to recovery”. This was further highlighted by WEF Senior Director Giancarlo Bruno that stated “Macroeconomic uncertainty as well as concerns related to regulation contributes to inhibiting the financial industry from funding much-needed growth”. « India – The new America?